As balance returns to the Santa Clarita real estate market, how you price your home is more important now than ever. This time last year, the market in Santa Clarita was quite the wild ride. 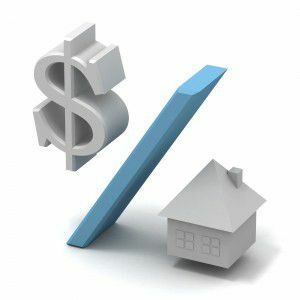 While interest rates took a jump from the mid 3 percent range to the middle 4’s, inventory in the SCV was still extremely low. Prices were rising, and homes were selling quickly with multiple offers. In some cases those multiple offers pushed the final selling price of a home beyond its listing price. This was all very find and good for sellers…until those sellers had to turn around and purchase another Santa Clarita home. Situations like these can (and did) cause a short-lived unusually high jump in home prices as we saw median single family home equity jump $80,000 in between January and December of 2013. Flash forward to mid-year 2014, and we’re seeing a slightly different market. Yes, it’s still good for sellers, but inventory has increased (Which is actually a good thing), doubling to average just over 800 listings in May. This equals just slightly over what would be considered a two month inventory, as on average about 350 homes close escrow each month here in Santa Clarita. A “balanced” inventory is usually around a 3 to 6 month supply of available homes for sale in the SCV. Single family home sales remained flat between April and May of this year, holding steady at a median price range of $485,000. This is a telling sign that prices are beginning to balance themselves out to what is perceived to be a normal rise in equity. Historically, home prices rise on average about 5% per year, but we’ve seen them jump nearly 17% in 2013, and so far just over 12% this year alone. Consider today’s real estate market. With more homes on the market, and prices beginning to fall in line with the historic average, it’s important that, when selling your home, you take these facts into consideration. As we’ve mentioned in the past, pricing your home at (or even slightly below) Fair Market Value will drive buyers through your door. Remember, the listing price is ONLY a starting price, and you ultimately have control over the type of offer you can accept, reject, or counter.